Russian billionaire Yuri Milner takes the stage with Stephen hawking (center) and Lord Martin Rees to announce that Milner is donating $100 million to launch a new, more ambitious version of Sagan and Drake's SETI project. 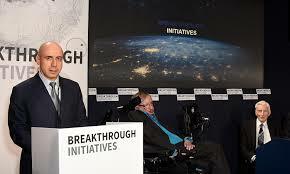 The 'Breakthrough Listen' project, a new version of the Search for Extraterrestrial Intelligence (SETI) has recently announced that they are being generously funded by billionaire Yuri Milner. The new project is being enthusiastically endorsed by astronomical luminaries like Stephen Hawking, Martin Rees, Ann Druyan (Sagan's widow), and Frank Drake. Personally, I am hoping they succeed. I would hate to see Yuri Milner's millions wasted. However, like the original SETI project, I fear that it will fail if it is implemented as it is currently envisioned, simply because the project will fall victim to some overly limited thinking. Don't get me wrong. I am all in favor of the government putting more money into astronomy, especially radio astronomy, which is tragically underfunded at present. And so, I generally applaud the endorsement offered in the media by Professor Hawking and Lord Martin Rees of this new initiative that plans to pick up where the original SETI program left off. The Search for Extraterrestrial Intelligence (SETI) was intitiated by Carl Sagan and Frank Drake back in the 1980s. Despite a lack of significant results, it was carried into future decades by biliionaire Paul Allen (Hat Creek Array) and further re-endorsed by more recent program director Dr. Seth Shostak. Unfortunately, the same illogical assumptions that doomed the SETI program in it's original inception threatens to doom prospects for success of SETI, version 2. The effort to detect alien signals hinges upon monitoring all the known radio frequencies, of which there are tens of billions, in hopes of detecting 'spilled' or unintentional extraterrestrial signals like old TV shows or ET communications. Just like the original SETI search, the plan is to make a vast amount of radio telescope data available to the public, who will then use open source software to analyze the data on home computers, searching for hidden signs of intelligent signals. That's all fine and good. The problem is that this has all been tried before, and it didn't work. Meanwhile, something else has not been tried that is a whole lot easier and stands a much better chance of 'working'. 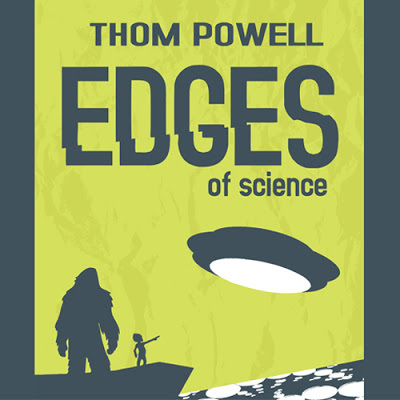 In fact, I already tried it, sort of, and I got a very meaningful result, which I published in my new book Edges of Science, less than a month ago. 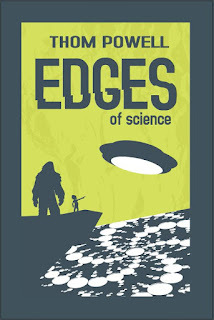 If one has the book already and wants to get right to the meat of the matter, just read chapter 6, The Zoo Hypothesis. But, if you really want to understand where the ETs can be found or where they originate from, you will need to read the whole book. It is a very important question, maybe the most important question humanity has ever asked, so I certainly applaud Professor Hawking for endorsing this new effort. That said, I am also a little dismayed by the rather ignorant idea that has been circulating for years, and that Stephen Hawking (shockingly) has just repeated. He states that there is indeed the possibility that the ETs we ultimately contact could be hostile, but we should look anyway. If they do turn out to be hostile, things could end badly for humanity. They could take our resources, our planet, and our women, just as white settlers did to the unfortunate Native Americans between the sixteenth and nineteenth centuries. In other words, the ETs we contact could suddenly realize for the first time that we are here and that we are vulnerable to conquest. I have tremendous respect for Dr. Hawking, but this notion is patently ridiculous. Fortunately, Lord Martin Rees is also quoted in the published article about the 'Breakthrough Listen Project.' He offers the much more likely assessment that, if and when we did contact some ET civilization, we will probably find that they already know that we are here! Duh! Thank you Lord Rees for stating what must be the fact of the matter, at least if one applies the same assumptions and rules of logic that I do. And, what that clearly implies, at least to me, is that they must be, in some form, already here. OK then, where are the indications that this is true? How about EVERYWHERE. Maybe Stephen Hawking doesn't get out much, but if anyone else is paying attention, aren't we getting almost daily report of possible ET crafts in our airspace. Maybe some of the people who sight and report these things are crazy, but I guarantee they aren't ALL crazy. These reports are, in very many cases, credible. Credible enough that government throughout the planet have investigated them at length, analyzed them, filed them away, and more recently, released them to the public. Then there are crop circles...right there in Stephen Hawking and Martin Rees's home country of England. "That's ridiculous," you say. "Scientists don't study crop circles. Only New Agers, do." Fine, but maybe scientists should. If scientists like Hawking would just put their ivory tower tendencies aside and listen to their fellow English men and women, they would find that this area of investigation (crop circles), which has been so thoroughly discredited by smear campaigns, is not only valid, but it offers enormous insight into what is really going on with respect to the ET vs. Earthling dichotomy. You just have to take off the blinders and carefully examine the details of these potentially spurious sources of information. One you pick the scab, enormous truths are revealed. And, while it may not be as super-scientific as analyzing radio-telescope signals with computers, these slightly paranormal areas of investigation are whole lot cheaper and a whole lot more likely to bear important new information. Yuri Milliner's millions might yield results a whole lot quicker if at least some of it were spent looking in some unconventional directions. Since I have already done the background research, I think I know where the ETs are and how to find them cheaply and effectively. This doesn't make me smarter than Stephen Hawking, just a bit more open-minded and a bit less concerned with jeopardizing my scientific reputation (since I do not have one). I am essentially suggesting only that, if scientist want to find evidence of ETs, they might want to try thinking outside the box. If you want to try thinking outside the box, envision a version of SETI that is much more economical and much more likely to bear fruit. Start by ordering a copy of my brand new book, Edges of Science, which can be ordered on Amazon here, or purchased directly form the author (signed) by clicking here. And finally, I would like to offer a great big 'thank you' to Stephen Hawking for publicly endorsing this new SETI initiative, thus providing me with an opportunity to offer my rebuttal to the limited thinking of the mainstream astronomical community. I have taught astronomy to eighth graders for thirty years. I love astronomy. I truly wish Dr. Hawking and others luck as they spend Yuri Milner's money on this ambitious endeavor. Maybe only after they experience another decade of failure and frustration will they will consider some cheaper, alternative approaches like the one that is spelled out in Edges of Science: Look behind you! Look here on Earth. They're already here. Look down. They're beneath you. There's more than one kind. They come, they go, but they have redoubts, and they are patiently waiting for us to mature as a species.They are very concerned about the current state of our planet. They are as invested in it as we are. 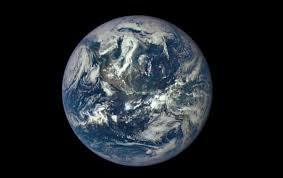 It may even be time to usher humanity into a greater awareness of our place in the galactic community as a means of focusing human energy on sustaining and even rehabilitating the livability of our blue marble, the Earth...but now I sound like a New Ager. Alas, if the shoe fits, I shall wear it. According to George Knapp via Bob Lazar, the government already has had 9 UFO equivalent discs at S4 for quite some time. Some of which are fully functional and can bend time and space to arrive at distant planets in short order. Stephen Hawking appears to be out of the loop and has forgot the projects that either he and the scientific community was involved in.